Layers of clean details. Warm wood and full grain leather pulls add storage panache and practicality to the bedroom, living room or dining room. Door units feature adjustable shelves and wire management holes. Shop the entire Shale Collection. 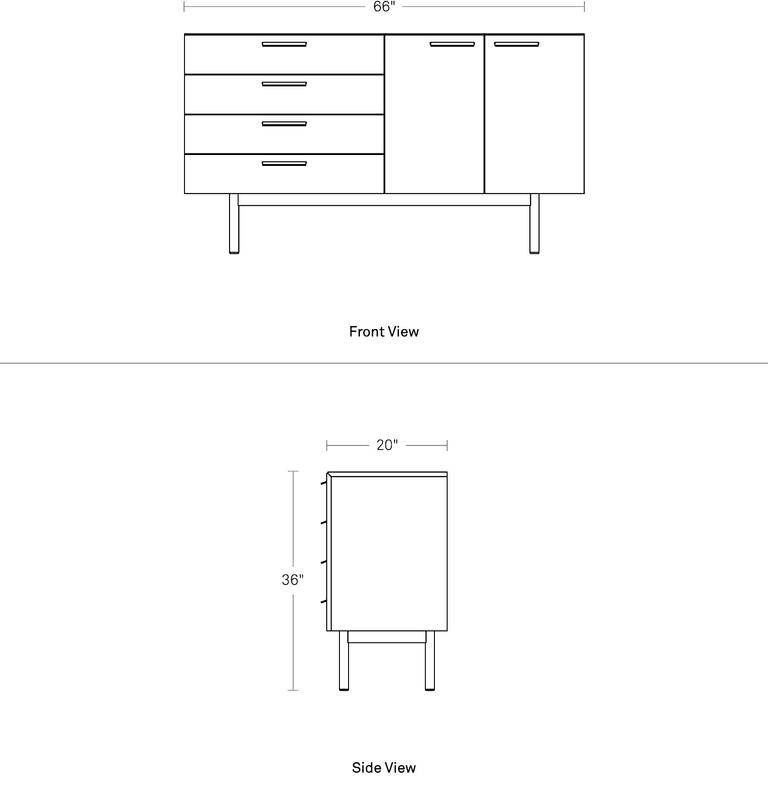 * Despite the fact that we call this a four drawer unit, it actually has only three drawers. I know, we are so silly. The bottom drawer is double height to accommodate more bulky items.